LORD OF THE FLIES: The Asheville Citizen ran this cartoon in its April 27, 1910 issue. The satire depicts Dr. Lewis M. McCormick's anti-fly campaign. His efforts first began in Asheville in 1906. On Jan. 10, 1922, The Asheville Citizen noted a “sadness in the city hall” over the Jan. 8 death of Dr. Lewis M. McCormick. The paper went on to report that the building’s flags, along with those at Pack Square, “floated at half mast in honor of the faithful employe of the city.” At 58, McCormick died suddenly from complications following a bout of influenza. The reverential outpour that followed McCormick’s death was a far cry from the city’s initial ambivalence surrounding his 1905 arrival in the mountains. By 1906, McCormick earned the nickname “Fly Man.” The moniker was in response to the scientist’s early anti-fly campaign, which aimed to eliminate the insect through improved sanitary conditions at public and private stables. While the Board of Aldermen would not finance McCormick’s campaign, it did support the scientist’s efforts through its passage of a fly ordinance. The Asheville Citizen included the new law in its April 13, 1906, edition. Manure exposed on any property within the city for more than six days was now illegal. Flyproof bins were also required at all stables, where manure was to be stored and sterilized every day “with chloride of lime or other disinfectant.” Each violation carried with it a $25 fine. To see what would be had. He vowed there must be more. The flies were on the top. Then turning round did go. To put us all to shame. So watch out for the fly man. He has got you on a string. Make him bring the dead ‘uns in. Rid us of this little pest. Years later, on Sept. 19, 1915, McCormick addressed the Public Health Administration Section of the American Public Health Association in Rochester, N.Y. In it, he highlighted Asheville’s overall drop in the number of cases of typhoid fever. In 1911, the city reported 17 instances; by 1915, there were only two. McCormick attributed the decline, in part, to the ongoing fight against the housefly. In the same speech, McCormick implored his audience to remain active and vigilant against the insect. “Swat the fly, swat him before he gets his wings — poison, trap, screen, but above all clean up and keep clean,” he declared. Shortly after his death, the city would honor the scientist by naming its new ballpark, McCormick Field. The stadium opened April 3, 1924. 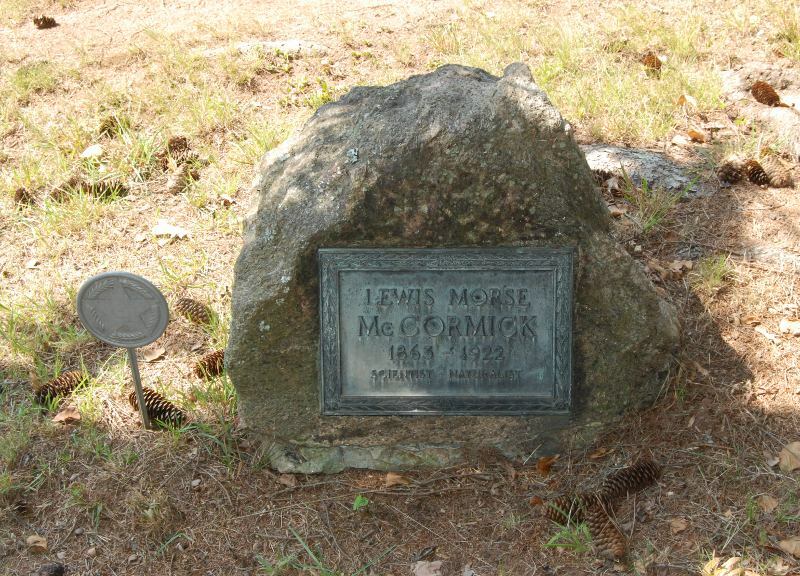 I recall reading somewhere that, for a time, Dr. McCormick paid schoolboys a “bounty” – seems it was a penny apiece – for each dead fly brought to him! He is interred at Riverside Cemetery. Hey Phillip. Good to hear from you and thanks for the picture! The “bounty” does sound familiar, although I don’t know if it came up in any of the newspaper articles I found. Thanks as always for reading Xpress and sharing with us your insights and thoughts.